This week on Picture Book Party we have a beautiful new book for your bookshelves by rising illustration talent Sophie Ambrose. 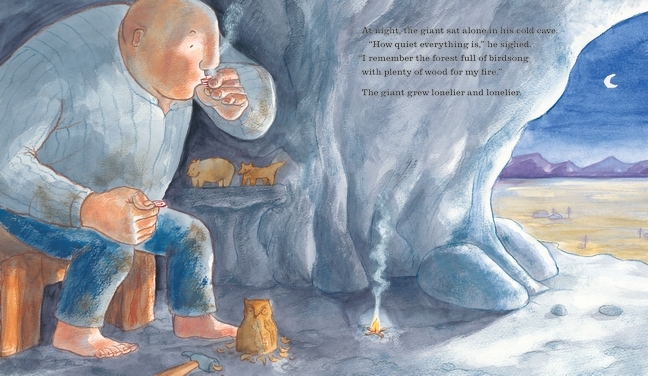 The forest giant in The Lonely Giant, likes nothing better than smashing, bashing and pulling up trees. But when all the animals run away in fear, he finds himself sad and lonely. Can he find a way to bring back the woodland bloom, and even make some friends? 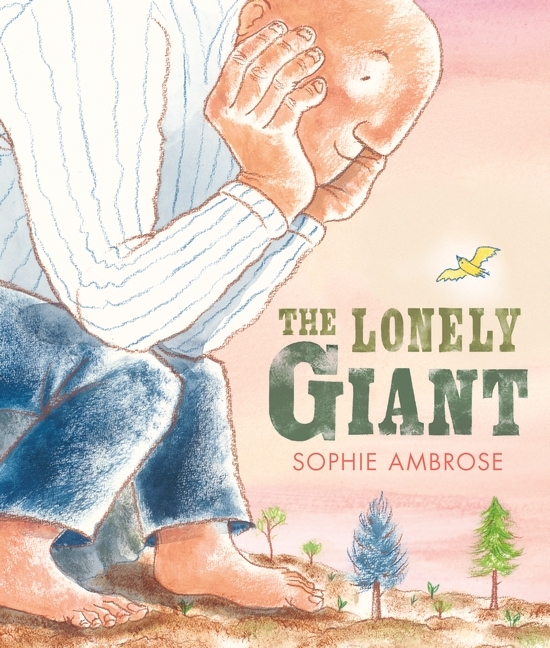 We caught up with author and illustrator Sophie Ambrose to find out all about what it was like making her first ever picture book, The Lonely Giant. What inspired you to write The Lonely Giant? I had decided to go back to education and convert my existing HND in illustration to a degree, so that I could retrain to teach. As a mature student, with a young family I found the Illustration & Animation degree at Kingston University really hard work but great fun. I realised I still loved illustration as much as ever and in particular my passion for children’s books. I knew I wanted to focus on writing and illustrating a picture book for my final project. It was a doodle in my sketchbook of a tough looking character with a pet canary on his finger that inspired me to create the Giant. The visual imagery of an enormous character who dominated his natural surroundings and a tiny yellow bird was great fun to draw. 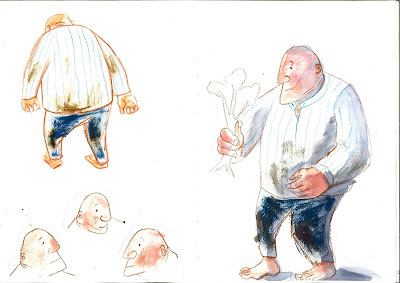 Once I had created the characters, I wanted to write the story and discover what the relationship could be between the giant and the tiny bird. Is he based on anyone you know? This is your first picture book. How did you bring the idea and illustration together? I found that the process worked like a chain of events. Firstly, develop the main character. That inspired ideas to create a rough outline of the story. Once I sort of knew how the story would go, I then wanted to work on the character more and how he would react in different settings. 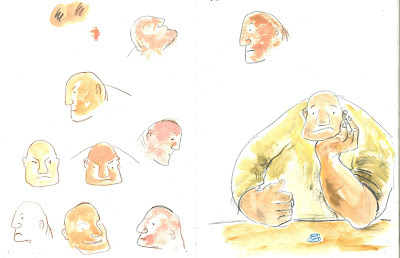 I drew endless mini scenes of the giant in sketchbooks. The story seemed to develop from there. Having said that, some of the pages I found very hard to write and came up with lots of different versions before feeling happy with the result. For example, I started writing “He plucked trees as though they were hairs on his head” Eventually I changed that to “He pulled up trees as though they were weeds” which apart from the fact the words flowed better, the imagery of the words were better too! The original story in university took 3 months from beginning to end with all artwork and a mock up book. The story changed quite considerably for the better, once I was working at Walker with my lovely editor Lizzie and fantastic designer Anne-Louise. 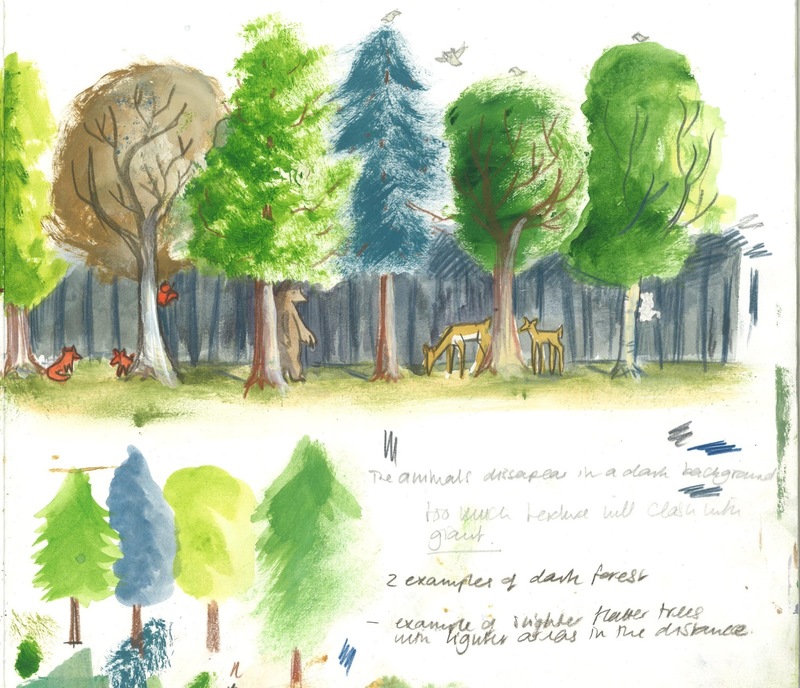 We added animals to the story and made more of the woodland and animal scenes. The actual book took a further 2 years, 2 A2 layout pads, 1 A3 sketchbook and 3 A4 sketchbooks! I’m a firm believer in the use of sketchbooks! Is there any advice you would give to budding author illustrators? 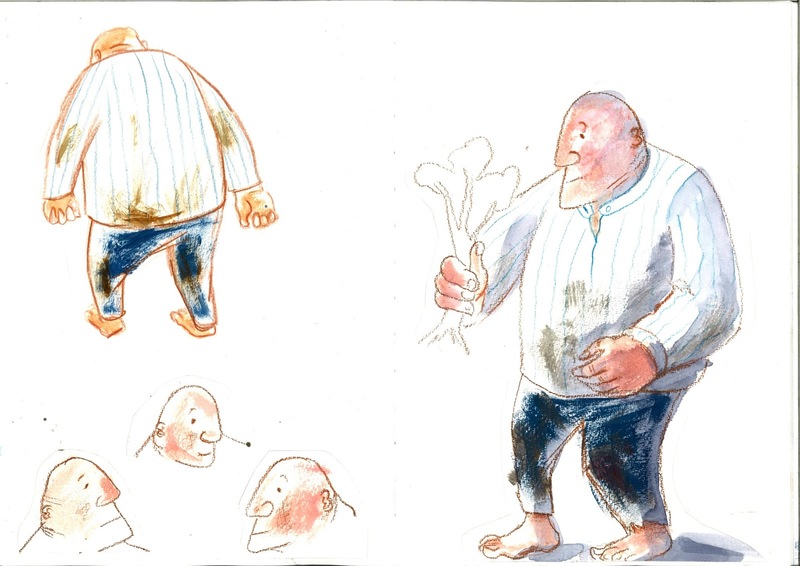 My first advice to any budding author/illustrators is keep a sketchbook. Jot down any ideas or quirky things you see around you. You never know where inspiration for your story may come from. I usually find that a story idea starts with a sketch, once that sketch has started to blossom into an idea then words will start to flow. Other author illustrators may find the words come first, it’s a personal choice. It’s very important to remember when writing a children’s book that the story is designed to be read aloud. Keep reading out loud everything you write, to others and yourself. You will soon hear the parts of the story that don’t flow. What has been your favourite part of the process so far and why? That’s quite a hard question as I really have enjoyed so much of it! It’s very exciting when an idea seems to click. It’s in your head and you just want to draw it out. I always storyboard each version of the story on a single A2 page. What’s also so good about drawing every page out is you can self edit as you go along. Once you start roughing out a page, it usually becomes obvious whether an idea will work or not. Not always though, and that’s where it’s fantastic to be able to work with an editor and designer. Often three heads are better than one, especially with such a solitary process as creating a book! I also enjoy the end process of creating the final artwork. I work traditionally with paint and pencils and it’s at this stage I have the radio on, drawing and painting, with plenty of tea to keep me going! 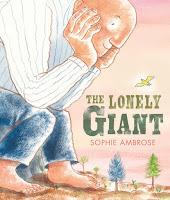 Pick up a copy of The Lonely Giant by Sophie Ambrose in your local bookshop. Brand new from Jill Murphy: Meltdown!